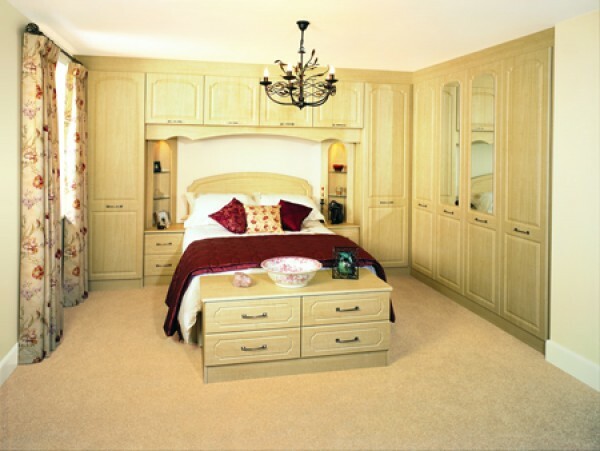 provides the fully fitted bedroom look, with neutral tones and traditional sculptured doors. The light wood-grain is highlighted by soft illuminated alcoves. The Ashford Range - Click Door For More Detail.